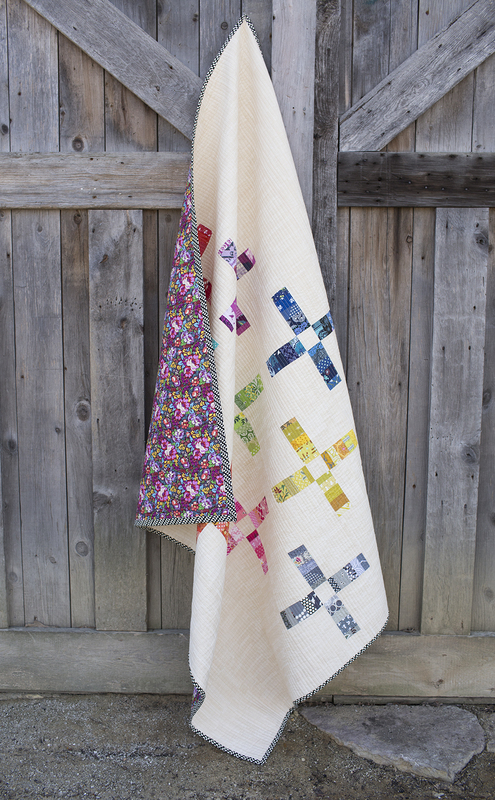 For those of you following my Scrap Plus Quilt Along/Tutorial over at BERNINA's We All Sew (Week 1 and Week 2), I hope you have been enjoying digging through your scraps and making some blocks. This week I'm talking about the quilt top assembly and quilting. I mentioned last week that these are 12" finished blocks. Scrappy blocks are always great for quilting bees and group charity quilts. Another fun and creative quilt idea for using the layout...since these blocks are a standard size, you can easily swap them out and use nine of your own 12" block designs. I'm such a fan of stars and modern samplers, I think this layout would make a beautiful sampler with some of the blocks from the Solstice Stars Series and Summer Sampler Series. I hope you will go check it out at BERNINA's We All Sew! I'd love to see what you make.